If this is your first venture into listening to a Beethoven string quartet, then prepare to be overwhelmed! I mean that in the best possible way, because this is one of Beethoven’s very biggest works, especially when performed with the massive final movement Grosse Fuge at the end. Even now, nearly 200 years on from when he wrote them, Beethoven’s late string quartets are forward-looking works of wonder. This B flat quartet, one of five such works published towards the end of the composer’s life, is a remarkable work that still gets musicologists hot under the collar with debate, especially when the Grosse Fuge is taken into account. Beethoven wrote the quartet in 1825 for Prince Nikolai Galitzin of Russia, an amateur cellist. His publisher suggested a slighter finish than the Grosse Fuge, and Beethoven obliged with a shorter and more amicable substitute. This was because the great finale was so substantial and so unusual in its musical language that it inflated the work to a daunting 50 minutes, out of the range of audiences and players alike, and presented them with an incredibly challenging finish. Today’s audiences are different, of course (not necessarily better!) and often warm to the thrill of a work that has not just this at the end, but also the tiny second movement Presto, a helter-skelter piece of music that is done in just over two minutes, and the heart-melting Cavatina, the fifth movement. This part of string quartet has been sent into space, a recording from the Budapest String Quartet part of a record loaded onto both Voyager space probes. So any alien that happens to possess a record player will be able to hear the Cavatina, presumably as their first experience of Beethoven! The Signum Quartet give a keenly thought performance here, though I did wonder on occasion if they could have played a little closer to the edge, sacrificing a little control for out-and-out roughness, so as to catch Beethoven’s invention and daring. That said there are many fine things here – the Cavatina especially, lovingly played as though it is the slow movement of an early 20th century symphony. The third movement is lovely too, given an affectionate reading. The Grosse Fuge is very clearly played, but arguably needs more rough-hewn passion. That said, nobody attending the Wigmore Hall on this occasion would have been disappointed with the standard of performance! 3:24 – a softly voiced slow introduction leads to a stop-start fast movement from 4:24, with some excitable faster passages contrasted by pauses for thought. The music is often busy, Beethoven passing ideas between instruments. The first section is repeated at 7:16. 9:40 – the music alights in the remote key of D flat major, led by the chromatic line of the cello. This is not what is supposed to happen, but Beethoven was never one to follow rules. It sounds so inevitable here! 16:41 – this is one of Beethoven’s ultra-quick, no-nonsense pieces. A bit too much ‘forward and back’ in this performance, the movement doesn’t quite feel fully formed. There is a remarkable series of motifs from the first violin (beginning at 17:54) which could easily have been written by a composer one hundred years later, so striking is its musical language. 18:58 – a calmer atmosphere for this movement, with a steadier foundation. 25:56 – music of grace and poise for the fourth movement, its triple time used by Beethoven as a stately Minuet. 29:28 – the Cavatina, Beethoven said, moved him more than any other single piece of his own music. It is played here with a reverential hush, and as the concert note from Paul Griffiths says, the music approaches the Romanticism of Mahler in the depth and richness of its harmonic workings. It is beautifully and tenderly played here. 33:04 – the Cavatina moves into a more thoughtful section, the first violin seemingly talking to itself while the other three chug sympathetically in accompaniment. Beethoven quickly moves back from this to the home key, however. 35:58 – music of remarkable tension and bite to begin the massive Grosse fuge, which starts with an angular introduction from the whole quartet before we hear the music for the fugue itself (36:47). After the serenity of the Cavatina the sheer drama of this music is remarkable. 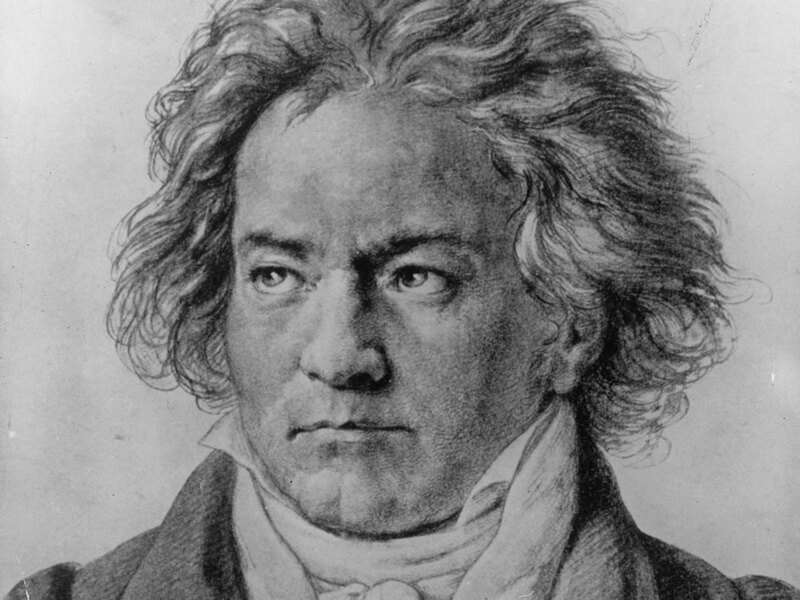 What is also remarkable is that Beethoven is executing all manner of clever musical tricks, all relating to the main theme and different variants / transcriptions of it – but as a listener you don’t necessarily need to note that, and can appreciate the unfolding drama with the string players pushed to the limit, both technically and emotionally. Towards the end it really feels as though the music is breaking up under its own weight and strain, before Beethoven brings it together to force an ending of togetherness and ultimately conviction. How about some more Beethoven…that isn’t quite so much of an intense experience for the brain? This entry was posted in In concert, Small scale and tagged BBC Radio 3, Ludwig van Beethoven, Prince Nikolai Galitzin, Signum Quartet, Voyager 1, Voyager 2, Wigmore Hall by arcanafm. Bookmark the permalink.